Wear your goggles with confidence! Steampunks love incorporating goggles into their costume, and there are plenty of legitimate character-based reasons for doing so. Check out this list of professions that might befit your steampunk persona, and —most-importantly— necessitate wearing goggles. A frequently-cited profession is being either a captain, or a gunner, or some other crew person on an airship. 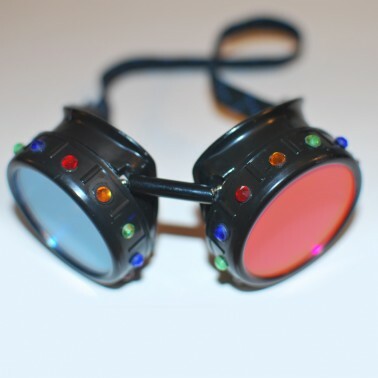 These airships can be either completely or partially open to the air requiring a good pair of airship navigator goggles. Your goggles keep your eyes protected from flying debris, and simply from drying out from the blowing wind. Another accessory to consider for this costume would be a collapsible brass telescope. 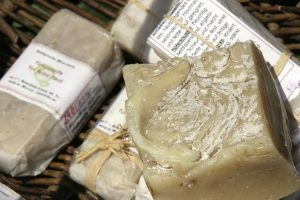 Soapmaking is one of the oldest forms of alchemy. Soapmakers need goggles to protect their eyes as they pour a corrosive lye solution into the vat of plant and animal fats and commence their stirring until it begins to transform into soap and harden. A soapmaker could also carry small vials of liquid fragrance oils, and small pouches of powdered pigment. The “past that never was” had their difficulties with other dimensions as well. You never know what type of foe you may be dealing with, so it’s best to be as prepared and protected as possible—don’t neglect the goggles. Any other pseudo-scientific measuring or tracking devices would also be appropriate. Whether you are making pitchers and glasses, or just artglass you will need a good pair of goggles. Glassblowers work with a 2000 degree furnace, and large pieces of molten glass that could shatter from thermal shock if not tended carefully. Wear some glass baubles or trinkets around your neck and carry a blow tube, or at least some shears on your utility belt as further tools of your trade. 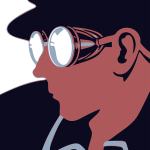 There are many other steampunk-appropriate professions that use goggles, such as chemists and welders. Spending some time to look around and choose a “profession” to help define your backstory will help define and improve your steampunk costume . And of course—like the steampunk paranormal investigator—there’s nothing wrong with making up your own as well.